Paper plates are also super popular round here and I love this craft from ABC Creative Learning. I love these cute Inside Out perler bead patterns from I Can Teach My Child. This DIY Sadness ice pack from Mum In The Madhouse will help cheer up kids after a scrape. 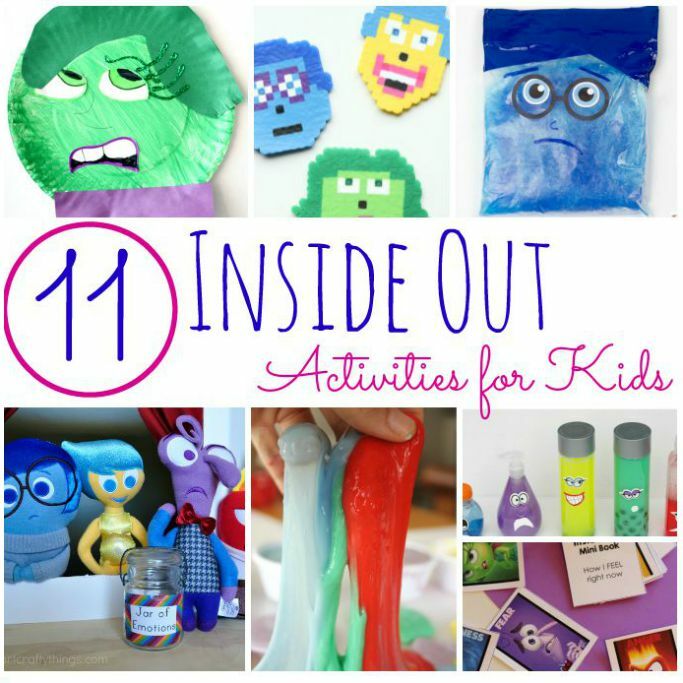 I Heart Crafty Things shares how to set up an emotions puppet show with your kids. Little Bins For Little Hands shares a sensory play idea inspired by the film to help you discuss different emotions with your kids. Lalymom shares these emotions discovery bottles inspired by the film. Teach Mama shares this Inside Out mini book and card game for helping your kids talk about how they feel. Do your kids love lego? How about trying out this fun idea for building the emotions? I’m a huge fan of cheap activities so this Inside Out toilet roll craft from Meaningful Mama looks perfect! I love this emotions sorting game from Mom Endeavors and my son is desperate for me to print it out! 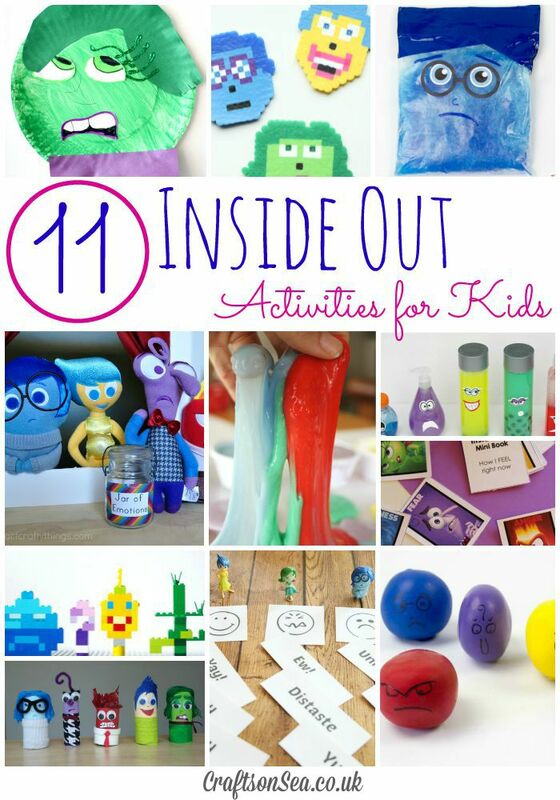 Make these DIY Inside Out stress balls, perfect for helping your kids deal with their emotions!